Gregg Wallace, one of the judges of the contest, at the inaugural Birds Eye Fish Finger Sandwich Awards, at Tramshed in London. MasterChef’s Gregg Wallace has said he cried when he saw the heartbeat of his baby boy as he prepares to become a father again. The TV chef, 54, and his fourth wife, Anna, 32, are expecting their first child. The couple, who posed for exclusive pictures with OK!, have already chosen a name for their baby: Sid Massimo Wallace. Anna, whose full name is Anne-Marie, told the publication she is due in May next year and wanted to have a natural birth with Wallace present. 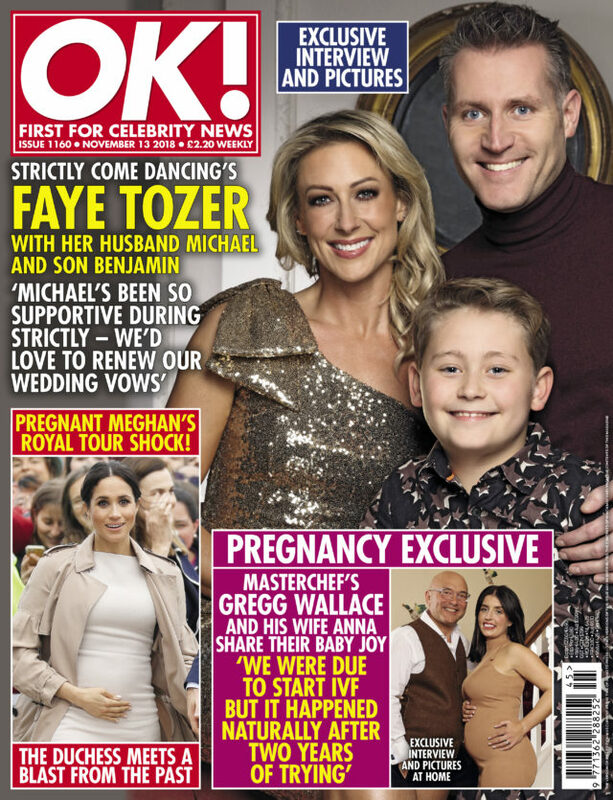 TV personality Wallace said: “I’ve been scared and stressed since she fell pregnant but since we had the 12-week scan recently it feels joyous. He said that the couple had agreed to only have one child together due to his age. He told OK! : “Usually when you have a child, by the time they’re 20 the parents get their life back a bit, but I’ll be in my 70s. “So, we agreed, one child and she’d have some help here at home – so her mum and dad have moved down from Coventry and they share this house”. The couple met on Twitter in 2013 and married in August 2016 at a ceremony held at Hever Castle in Kent. Wallace’s MasterChef co-presenter John Torode was best man. According to Wallace’s official website, he has two other children named Tom and Libby. Read the full interview in this week’s OK! Magazine.